Tens of millions of people have joined in celebrating Earth Day on April 22, marking its 45th anniversary with unique projects and events. The day saw groups, corporations and communities try to raise awareness at how to better protect our planet. 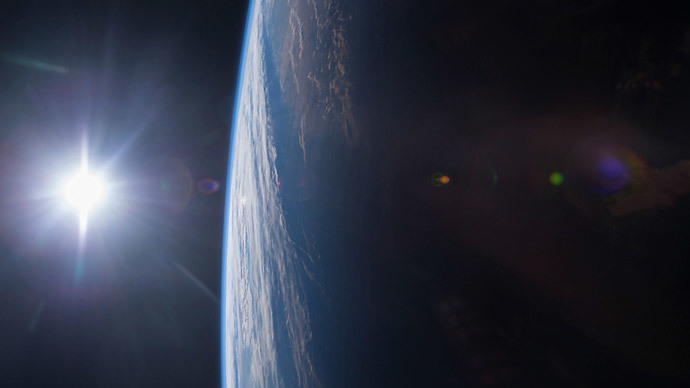 Seventeen leading scientists came together in 2015 to write the Earth Statement. They list eight central elements that the international climate agreement, to be negotiated in Paris in December, needs to achieve in order to stop the advent of climate change on a massive scale. The statement has been published online and gives anyone the chance to sign it and join the global call to protect the environment. NASA embraced the celebrations by opening up exhibits, demonstrations, hands-on activities and views of Earth from space. It also turned to social networks, asking people to post their favorite spots on Earth online, under the hashtag #NoPlaceLikeHome. Astronauts on the International Space Station (ISS) organized Earth Day quizzes. Giant tech companies have come forward with their own unique ideas of how to celebrate Earth Day. Apple has colored the top leaf of its logo green in stores around the world. A tiny community in northern Michigan got together and braved the cold spring weather to create a human chain out of 20 people measuring 79 feet (24 meters) in Port Huron. Many other groups have organized cleanup days on Wednesday. Montana residents went weeding in Lawrence Park to get the area in shape for the summer. Putting trees in the ground has also been one of the most popular activities to do on Earth Day. The Montreal mayor Denis Coderre embraced the idea by launching a tree-planting drive. One clean-water advocate, Christopher Swain, marked the day by swimming in New York City’s Gowanus Canal – one of the most polluted waterways in the US. Earth Day Canada created a ‘Clean Commute’ campaign, which promotes 25 different ways to cut down on greenhouse gas emissions, such as riding a bike, taking public transport or walking. US senator Gaylord Nelson first organized the concept of Earth Day in 1970 in response to an oil spill and idea was subsequently taken up by the United Nations. 2015 is a milestone year in environment protection. Several important international meetings will take place, including the UN Sustainable Development Goals (SDGs) in September and the new Global Climate Agreement.